Discussions at this year’s Africa RISING West Africa review and planning meeting served up serious dialogue among partners on which improved agricultural technologies that have been tested and refined over the past four years can be scaled to benefit more farmers beyond the current project sites. 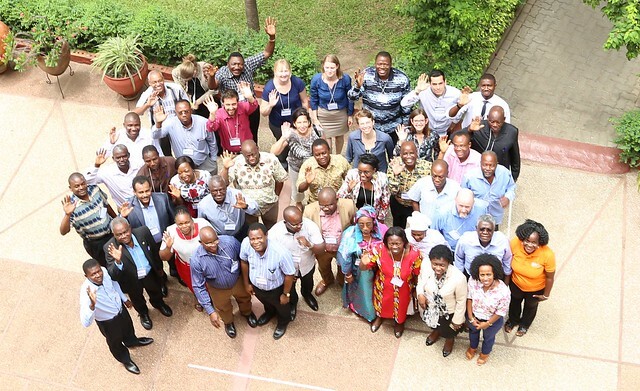 Animated discourse at the meeting, in Accra, Ghana from 30 March – 1 April, also cast a spotlight on how the research work already started in Africa RISING phase 1, which comes to an end in September 2016, will either be continued in the possible second phase or finalized in the 2016/2017 cropping season. The shift in the tone of the meeting from a regular review of research results/progress and planning for the next season comes at a time when project partners are in the process of writing a proposal for Africa RISING phase 2. Project partners aim to provide a clear impact pathway from research to development that builds on achievements and lessons from the first phase of the program into the second phase. Project partners participating at the meeting therefore discussed various ways to ensure Africa RISING will play a proactive role in the achievement of development outcomes within and beyond the intervention communities in the project countries while using research (which is Africa RISING’s comparative advantage) as the springboard. 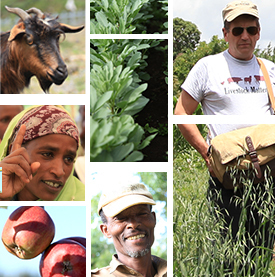 “Phase 1 of Africa RISING has focused on situation analysis of the farming systems we are working in, the development of tools to support action research and a lot of action research. While we will continue to be a research project, we will have to ensure in phase 2 that our research efforts lead to development outcomes,” explained Irmgard Hoeschle-Zeledon, Manager Africa RISING West Africa and East/Southern Africa Projects. The message for this paradigm shift was echoed in the opening remarks delivered by USAID Ghana Country Mission Agricultural Programs Officer Jenna Tajchman. “It’s my pleasure to take part in an Africa RISING meeting for the first time. As a country mission we have had meetings before with Africa RISING project managers on the available opportunities for the research work done by Africa RISING to inform the development work being implemented by some of the projects we fund at the USAID Ghana country mission. Taking part in the deliberations today will therefore give me a good general picture of some of these possibilities,” she noted. Twenty-three posters on various ongoing research activities in Ghana and Mali were presented. They highlighted the main findings of the research work, their implications in generating development outcomes and how the work could possibly be carried forward into the second phase of Africa RISING. For the first time, partners at the meeting also got the chance to review and make comments to the draft regional phase 2 proposals for West Africa as well as the program-wide ‘umbrella’ proposal. The feedback given by the partners will now be used by a smaller writing team selected from among the partners to refine both documents before a final submission to USAID. Tags: africa rising, planning and review meeting, Scaling. Bookmark the permalink.